I just finished a wonderful weekend in Portland and the Columbia River Gorge. While driving on a back road to PDX I saw a billboard that said, “We are born to be happy. Follow your smiles.” I didn’t think much of it at first, and then I thought about the concept more deeply. Admittedly I am a notorious photo and selfie taker. If I were to follow the smiles on my camera roll, it would lead me to my family, both biological and aviation. I am blessed to have a professional career divided in two, half being a licensed psychotherapist and the other half working in aviation education, presenting and writing. I am keenly aware that many of us have to fund our passion for flying through hard work at non-aviation vocations. But if we follow the smiles, I bet that yours would be of Oshkosh, attending a fly-in at your local airport, or flying a four-legged to its forever home. 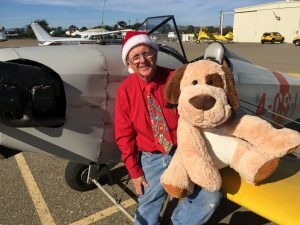 Check out some of the smiles from some of my fellow aviation lovers below, and try not to smile yourself. 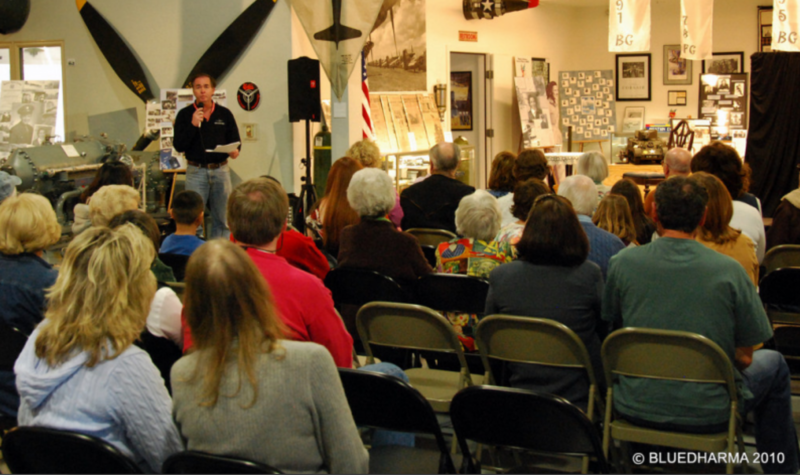 Our event sought to increase aviation career awareness and the role female aviators can play. 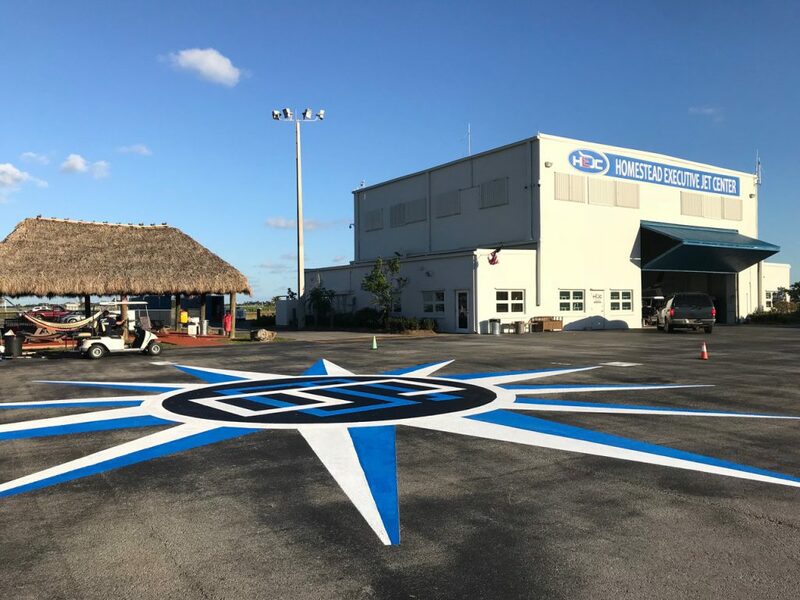 As the past Chapter Chairman of the Florida Goldcoast 99s (International Organization of Women Pilots) and owner of Dare to Fly Apparel, I gathered 30 volunteers pilots, including 99s members and friends of the 99s, on the 18th of February to paint a 60 foot in diameter compass rose at X51, Homestead Executive Airport, Florida. Homestead Executive Jet Center donated most of the painting materials and lunch for the volunteers. We are appreciative of the collaboration and help provided by the airport authorities. 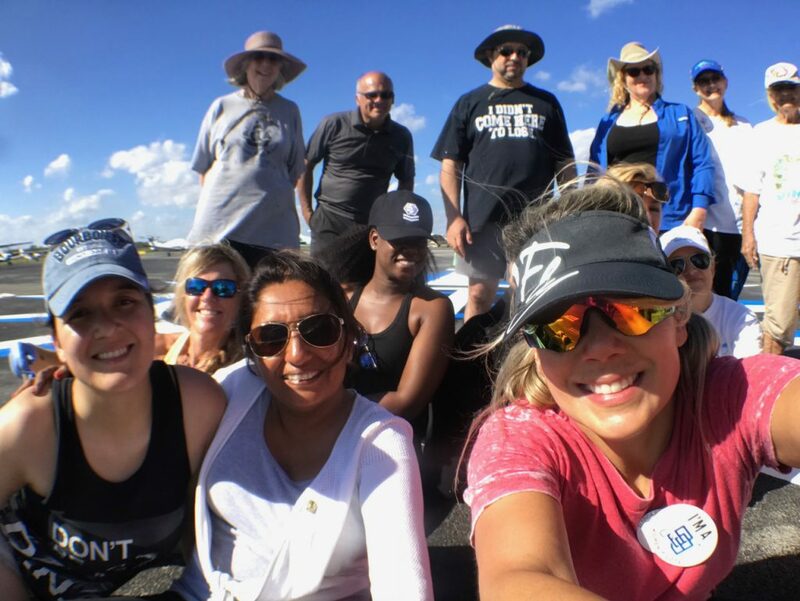 We are proud of how successful this event was and we are very happy we made a lasting impression on the field, we hope to inspire many more people to learn to fly, especially women. The day was full of smiles. This might be one of my favorite moments so far with Collings Foundation as a volunteer pilot on the B24 Liberator. Normally it is me asking to take pictures with the crew members. 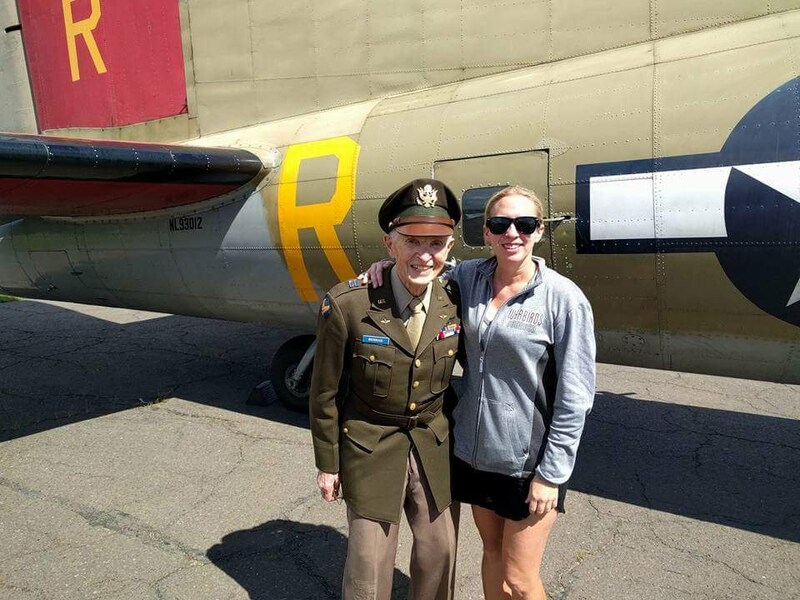 But when this veteran found out I was a pilot, and I was the one that helped fly him to Oxford, he absolutely insisted on taking a photo with me. He had multiple members of his family taking the photos to make sure he got one! So wonderful, and it made me smile from ear to ear. I get a smile out of participating in my local pilot association, Fullerton Airport Pilots Association. I was one of the original “steering committee” that began some seven years ago, and worked to restart our then-dormant group. In the end, I’ve served as the Vice President of the group ever since. My favorite part of the job is the connections to people in the industry. One of my “chores” is to schedule speakers for our monthly safety seminars. In this capacity, I’ve had the extreme pleasure of meeting and working with a Who’s Who of the industry in my area. That has developed into opportunities to speak myself at other local airports, and I’ve enjoyed putting together and delivering dozens of seminars in the area ever since. The biggest downside is that a ton of people know who I am, but I don’t know so many of them! I always get a giggle when somebody says “Hi Mike!” who attended a seminar a year ago! I love hanging around the Vintage area at EAA/Oshkosh, it makes me smile. I had the pleasure to run into Don Voland and his lovely wife Jeanette. 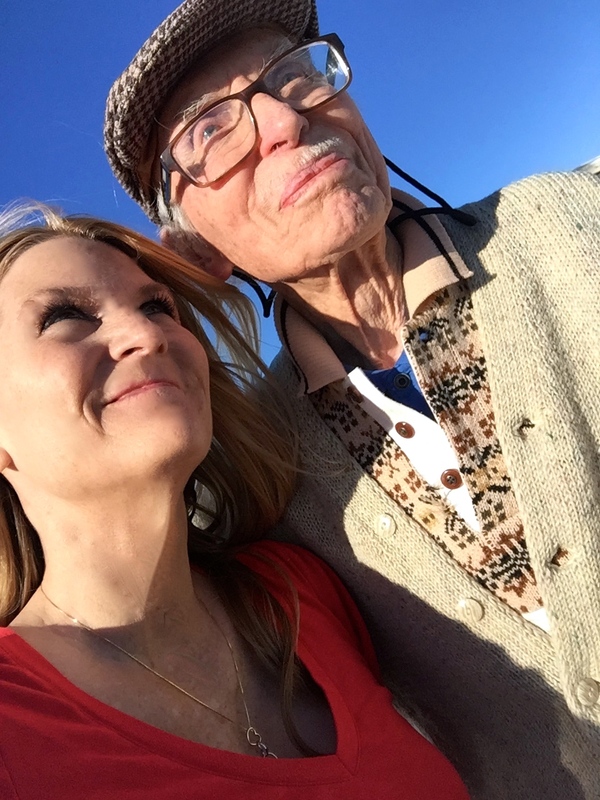 Don was my helicopter pilot for countless years. He laughed as he recalled the first year we accomplished the fish-eye aerial of convention grounds (in the old film days) with a combination of altitude and a silly young photographer hanging out of the helicopter hanging on to the seat belt. On flights designed and coordinated by the conservation-aviation group LightHawk I have spent many hours volunteering my time and skills to help conservationists, photographers, and policy-makers to see from the air the multitude of impacts on watershed health, from high up in the Cascade and Olympic mountains all the way down to the shorelines of the Salish Sea. I’ve been privileged in recent years to fly across many western landscapes on similar LightHawk flights, from the Colorado River delta in Mexico to the oilfields in West Texas. Many of my flights have been focused on gathering imagery to be used by the partner conservation groups in support of their work. 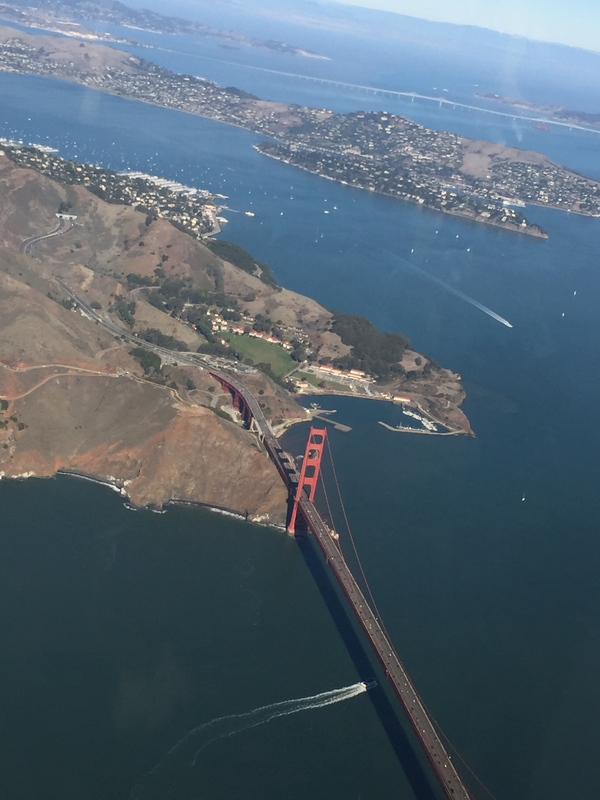 The flights are always personally rewarding as they offer my passengers a chance to gain a more thorough and expansive understanding of an issue or landscape. The smiles both during the flights, and after, let me know that the time spent has been more than worthwhile. For much of the country, spring flying is just around the corner. Perhaps spend a few minutes thinking where your aviation smiles are hiding. 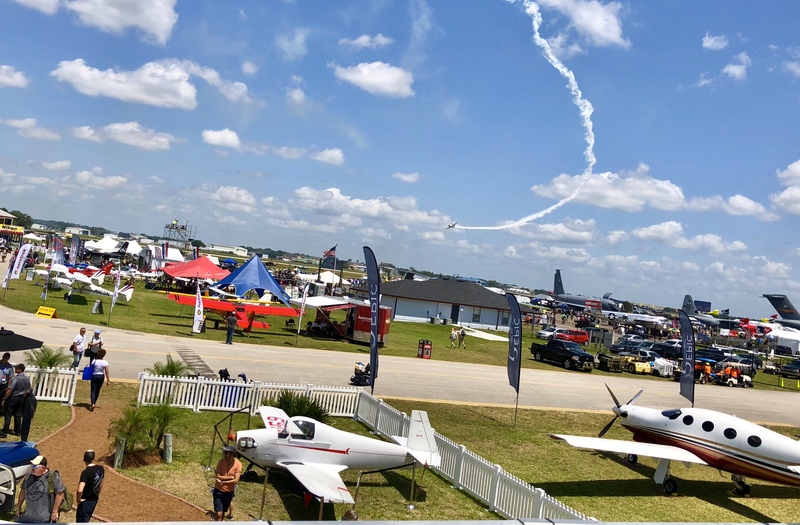 And, if by chance, you find yourself at Sun n Fun in Lakeland, FL., come to one of my AOPA presentations Exiting the Hold: Reaching your Aviation Goals or the Mooney booth and say hello. Smiles guaranteed. Determination, passion and connection in the heart of the Rockies. 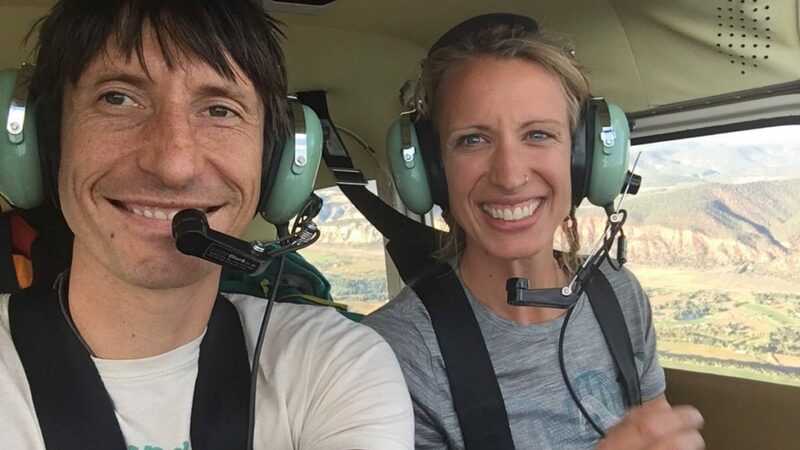 Amy Helm became the airport manager of Glenwood Springs Airport [KGWS] in April of 2017 after interviewing and presenting a petition with the signatures of 60 local pilots who supported her candidacy. The daughter of a private pilot, Amy didn’t set out to be an airport manager, but nonetheless she has devoted her time, determination and passion to this Colorado airport nestled in the heart of the Rockies. Amy loved aviation as long as she can remember. She worked at Glenwood Springs Airport in high school and earned her pilots license there. After college and fulfilling some wanderlust, she returned to Colorado wanting to get a job as a back-country pilot. 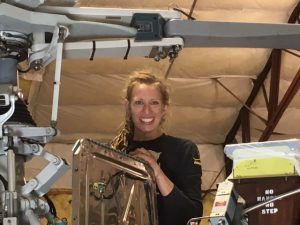 As is often the case, Amy soon discovered that she needed to learn about maintenance and repair in order to pay for her flying. She received her A&P and after completing a stint as an apprentice, she moved to SE Alaska working as a mechanic for a bush pilot. The next stop on her grand circle tour was Juneau Alaska where she earned her IA and worked as a helicopter mechanic for Coastal Helicopters. Amy and I talked about the qualities of character it takes to be a pilot, mechanic and airport manager. I asked her if her job is hard. 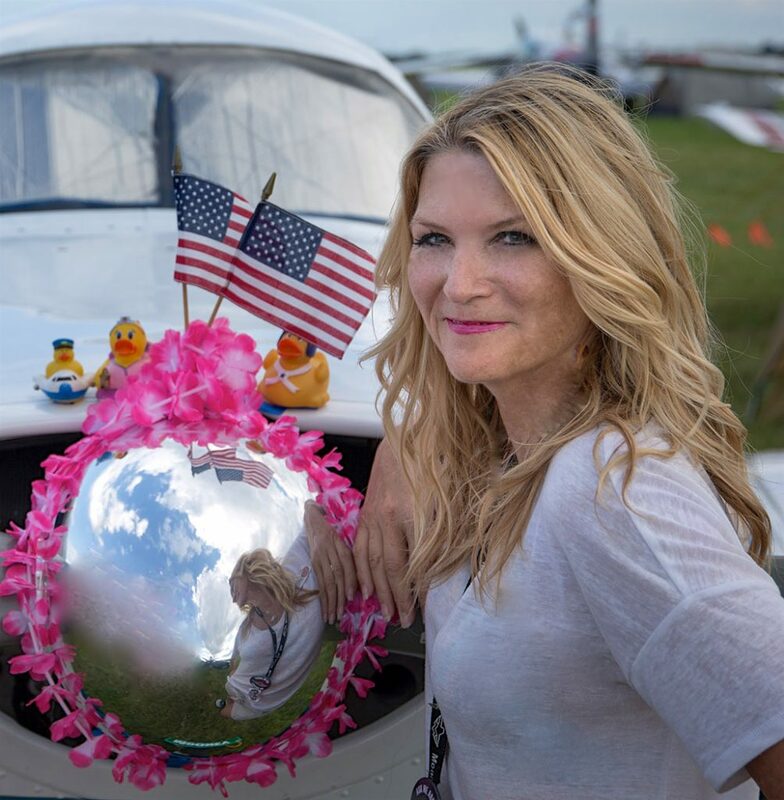 She laughed and said, “There are days that are hard, and there are days that are a lot of fun.” Amy said that the number one factor in both her work as a mechanic and an airport manager is determination. Anyone who has volunteered at an airport knows a lot about determination. At Glenwood Springs it took two separate work parties and 30 volunteers to get the airport back in tiptop shape for visitors. Development has encircled their airport with housing tracts on both sides. Over the years there have been threats to the airport from developers. 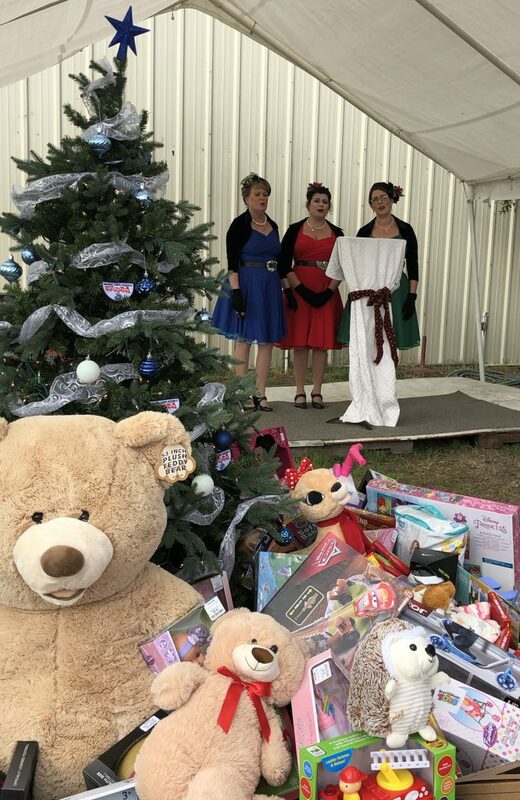 Thus Amy’s first tasks as the new airport manager were to spruce the place up, replace worn signage, increase community awareness, and start planning on a community aviation expo. 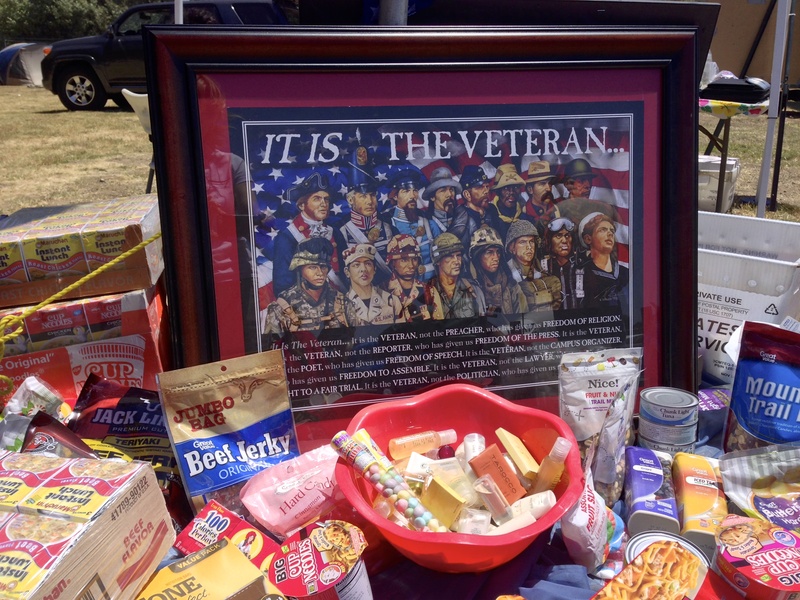 The first event was very successful giving 150 airplane rides, hosting 500 people in attendance, over 30 types of airplanes and helicopters on static display for the community to walk around, sit in, ask questions about and a vendor display. The second annual event will be held August 18th, 2018. 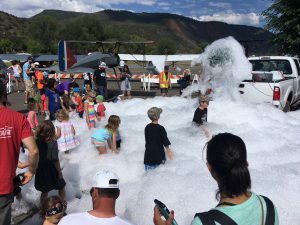 Glenwood Springs is a tourist destination with skiing, skydiving, white water rafting, climbing and of course the world’s largest hot springs pool. Camping on the airport grounds is allowed. 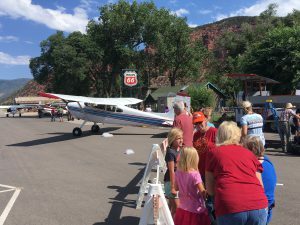 Although the fourth oldest airport in the country Glenwood Springs Airport does not receive FAA grant money, nor any funds from the City of Glenwood Springs. Funding for the airport is based solely on donations, fuel sales, tie-down and hangar income. 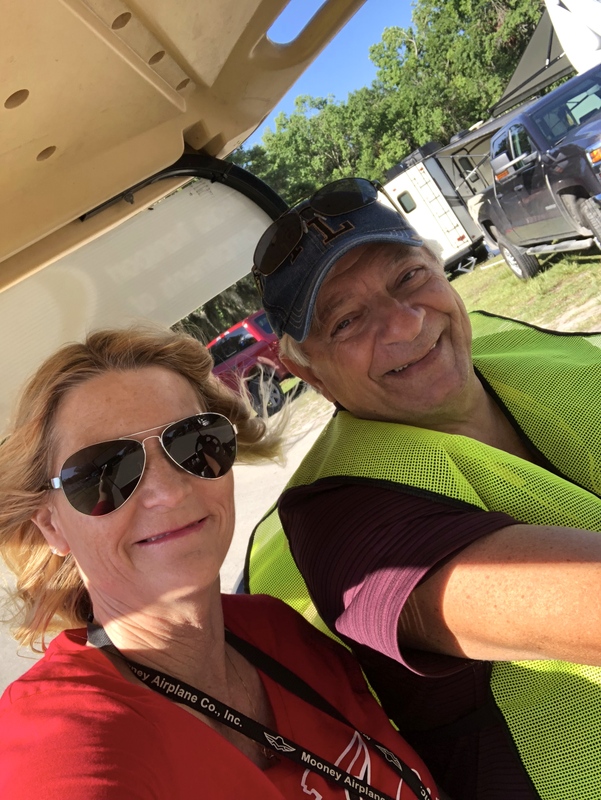 Amy and I spent some time talking about mobilizing pilots and promoting General Aviation to communities. Pilots are “do something” people. Fly the airplane; don’t let the airplane fly you. We all are airport, and airplane, lovers. When it comes to your local airport, think small and big; local level, community-based. How can your airport serve your community in non-aviation needs? Perhaps a space for community meetings, a host of a canned food drive, or a fund-raiser for the local humane society. With our home airports, step up, raise your voices and let your opinions be known. This might mean speaking in front of the airport board, or county commissioners. Use your local airport as a resource. Bring the community inside the fence. Be able to tell the truth. If someone wants to do something unsafe at an airport, speak up. Be on guard for encroachments, misapplications of directives, and oppressive policies. The second level of involvement is in between micro and macro, it is the state level. Are you involved with your state aviation association? 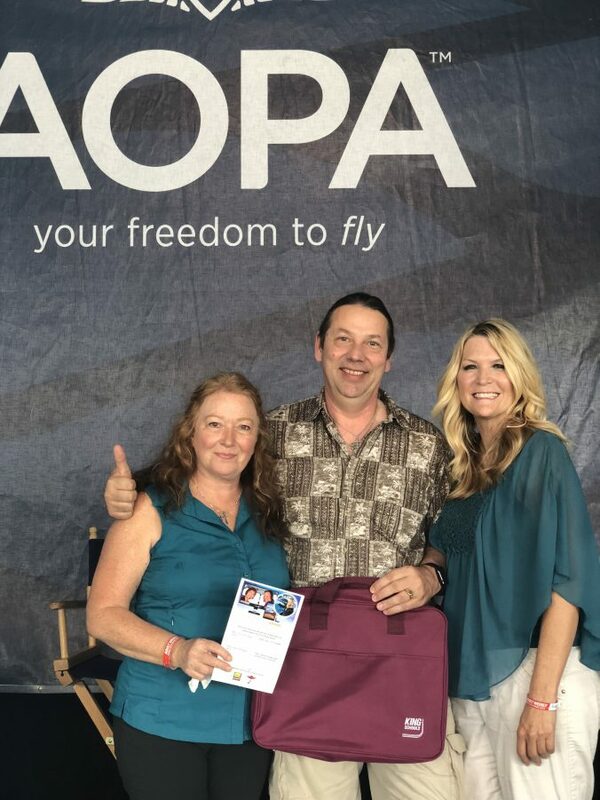 Do you know who your regional director for AOPA is? Do you have a Representative or Congressman from your state on the GA Caucus? Have you thought about becoming involved with aviation at the state or regional level? Fly-In Movie Night is always a big hit. All you need is a large screen, projector, sound system and popcorn. 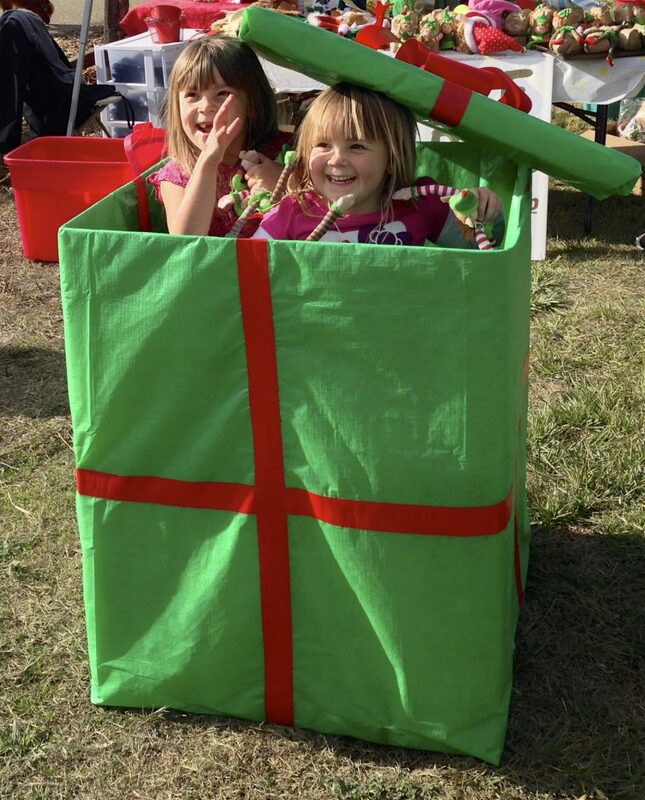 Toys for Tots is a great feel-good event that will benefit the children in your local area. Take a page out of Amy’s playbook and have an Airport Appreciation Day. Young Aviator Camp: Approach your local YMCA, Parks and Recreation, or Boys and Girls Club and ask about putting on a day camp for children. Most airports have a green space, campground or empty hangar that can be used as a classroom area. 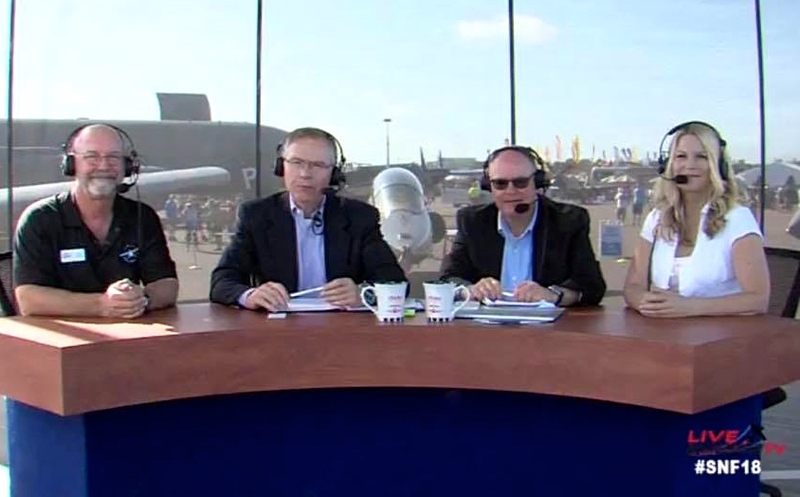 Topics could include: What is General Aviation? Fundamentals of Flight, Basic Navigation, Mechanics, How to Become a Pilot, Careers in Aviation, and Charitable Flying. 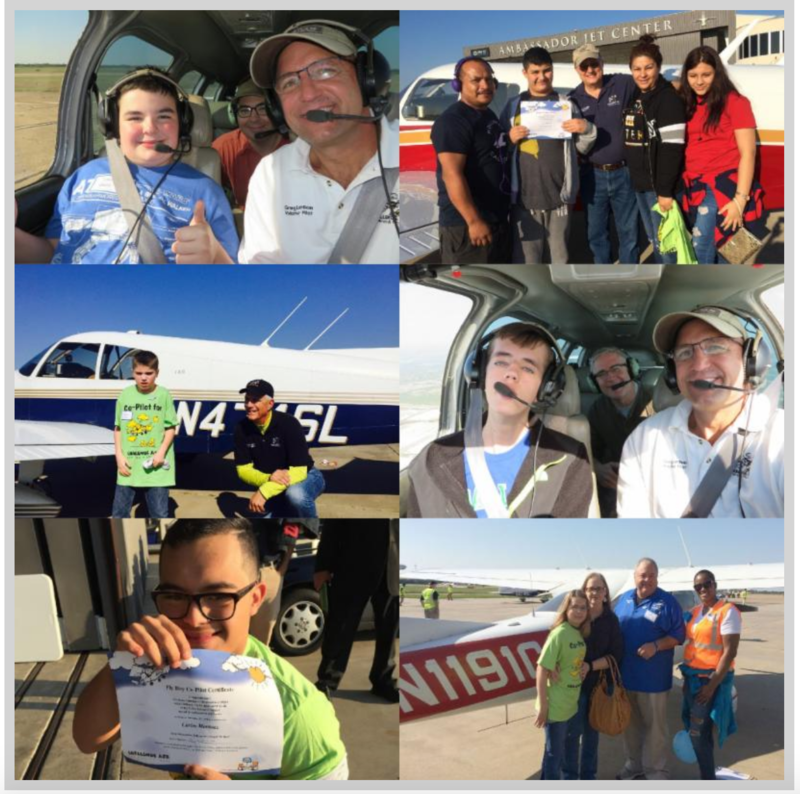 Young Eagles: EAA chapters have a tremendous amount of impact on the youth in our local communities when they hold a Young Eagles day. Public Radio and Television: Those of us in GA oftentimes overlook public radio and television, yet they are constantly on the look out for community-based stories. Why not contact your local station about an upcoming event at your airport? 4-H Aero, Boy Scouts, Girl Scouts: Both Boy and Girl Scouts have merit badges in Aviation. Why not offer a daylong workshop to help the kids get their badges? Service Club Speaker: Why not talk with your local service club, or chamber of commerce about using YOU as a speaker? 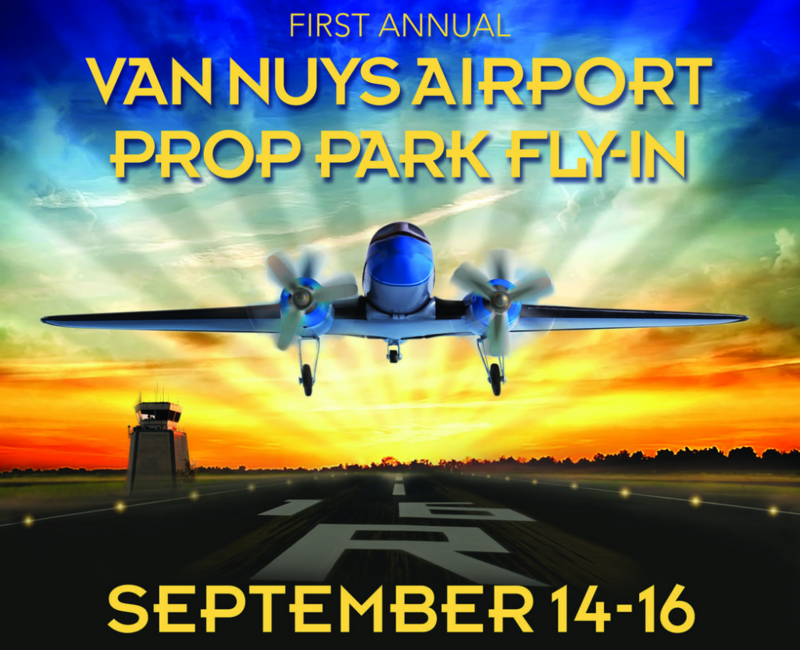 This is a perfect opportunity to talk with a captive audience about the value of general aviation and general aviation airports. Emergency Responder Appreciation Event: Each of our communities have unsung heroes. 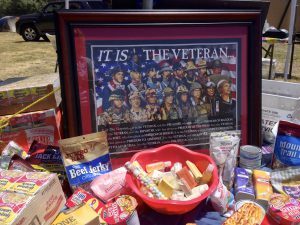 Why not have a pancake breakfast, spaghetti feed, or burger fry and invite your local ambulance, search and rescue, law enforcement pilots, fire fighters and other emergency responders. School Assemblies: Elementary schools have requirements about science education. Aviation falls into that category. Why not talk with your local principal about doing a fundamentals of flight assembly for your local school? You could have RC models to illustrate lift, thrust, drag and gravity. End your presentation with ways that the children can come to your airport. Remember children, bring their parents! For many in the country the aviation season is beginning. 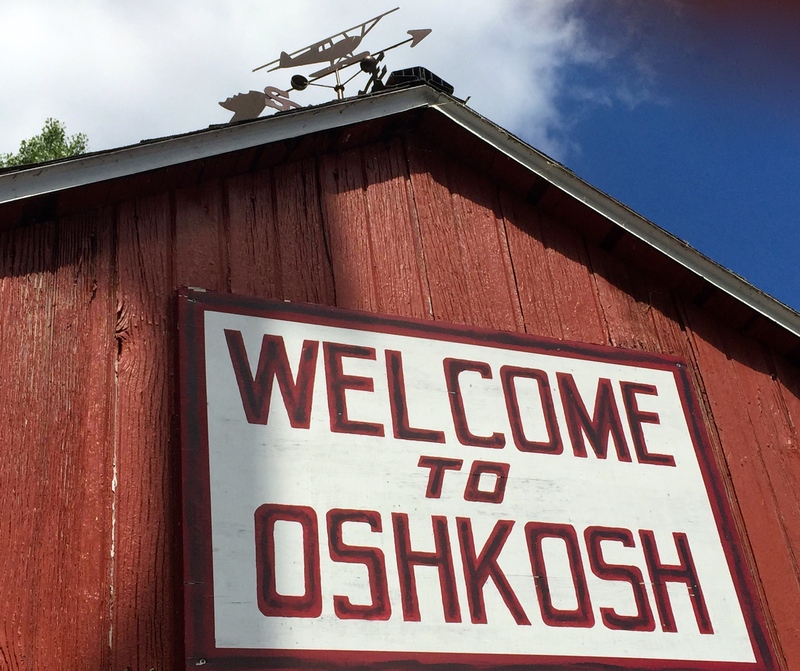 We are making our reservations for Sun n Fun, or one of the four AOPA Regionals, or Oshkosh. But please remember to support our small GA airports which host events. 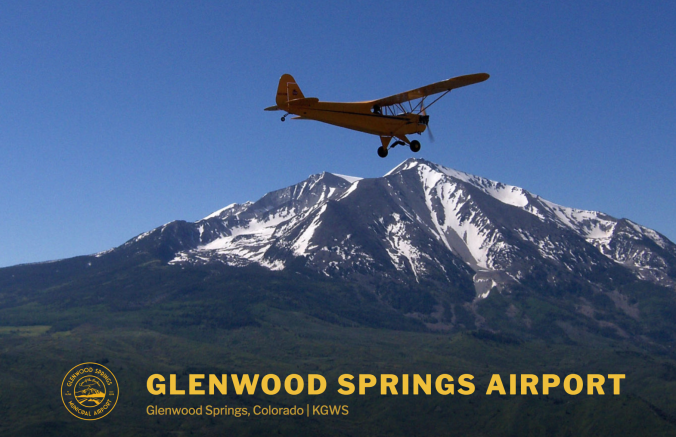 Get your airport on the map like Amy has with Glenwood Springs. Host, volunteer, or attend a cool event. Invite your friends and more importantly your community. You will be rewarded with the joy of flight, connection with others, and keeping our airports vibrant. 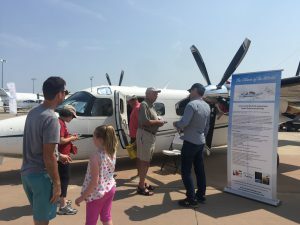 Having just returned from Norman Oklahoma and the AOPA Regional Fly-In I was impressed to see the record attendance numbers at the two-day event. 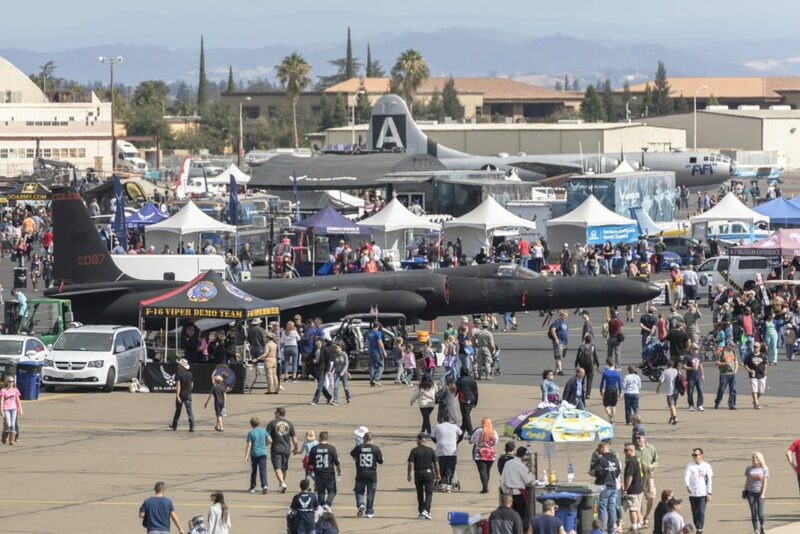 Over 7500 people and 500 airplanes came to enjoy the Friday educational seminars and the Saturday events. 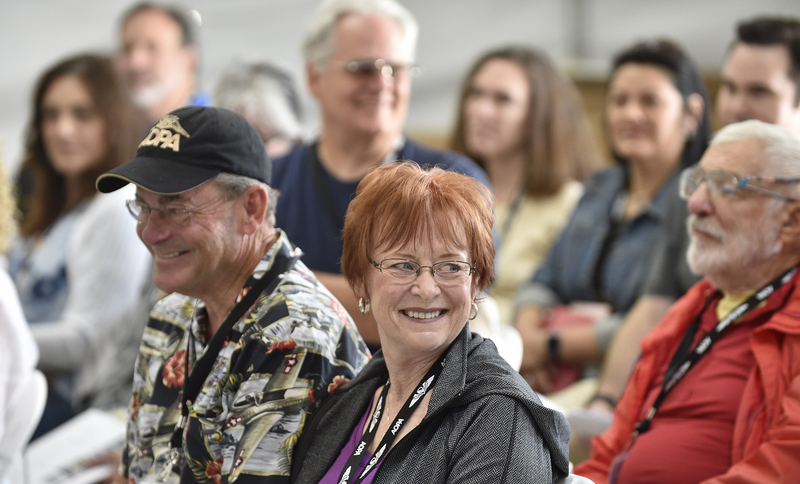 This year, AOPA broke the mold of the wildly successful regional fly-in by adding Friday seminars, which educate both the pilot, and non-pilot (as with Pilot Plus One/Right Seat Ready). 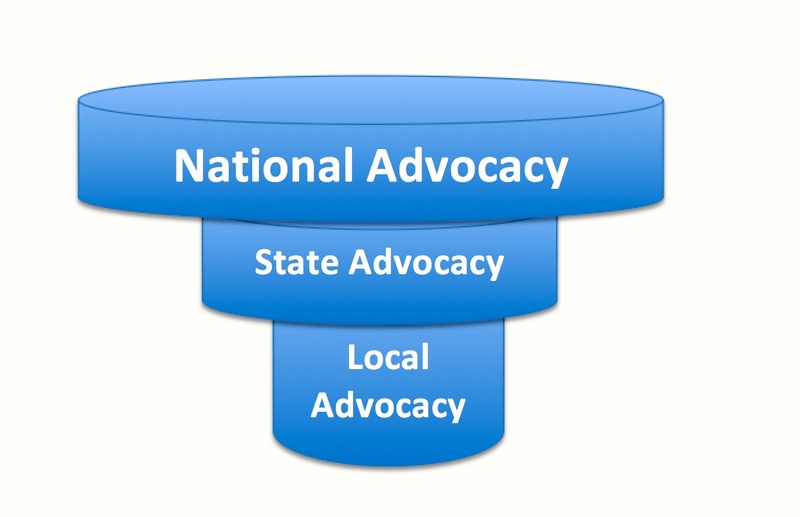 In observing the event at Norman, I was reminded of the three-tiered model of airport advocacy. 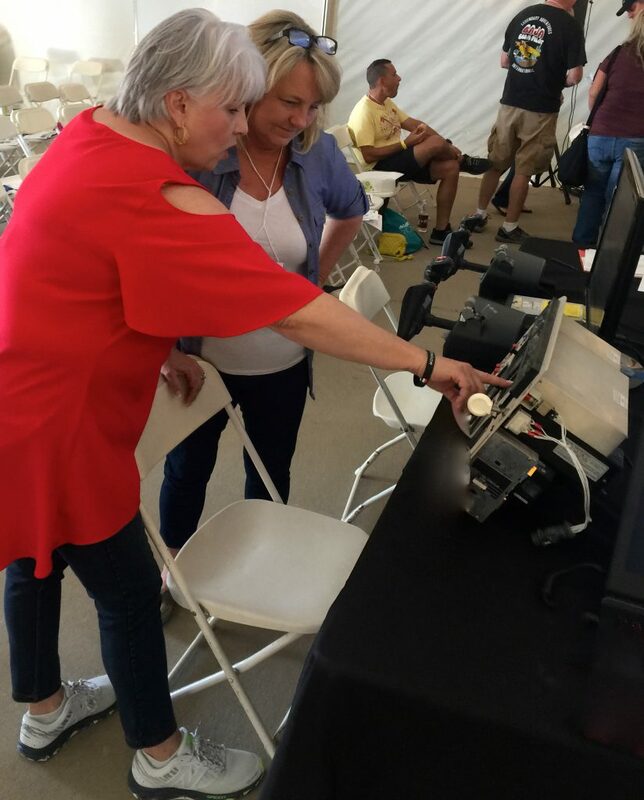 In action were local pilot groups, the eleventh annual Aviation Festival, the University of Oklahoma, state-level aviation associations, and of course nationally AOPA. Jan Maxwell, co-founder Right Seat Ready! companion seminar. Tier 1 – Local Advocacy: Local wisdom is the best source of information at an airport. Who better understands current issues, history, and future needs better the pilots who are based there? What can you do locally? Join your local airport organization. 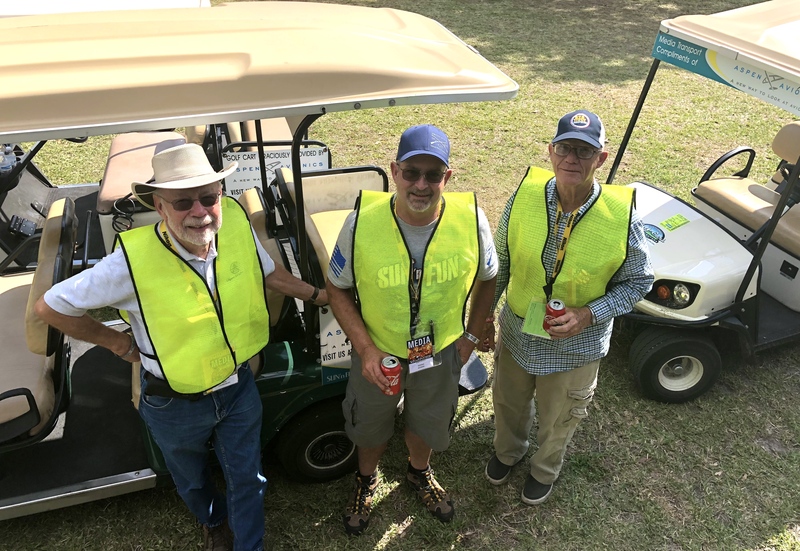 Find out who your AOPA ASN volunteer is. Attend Airport Land Use Meetings. 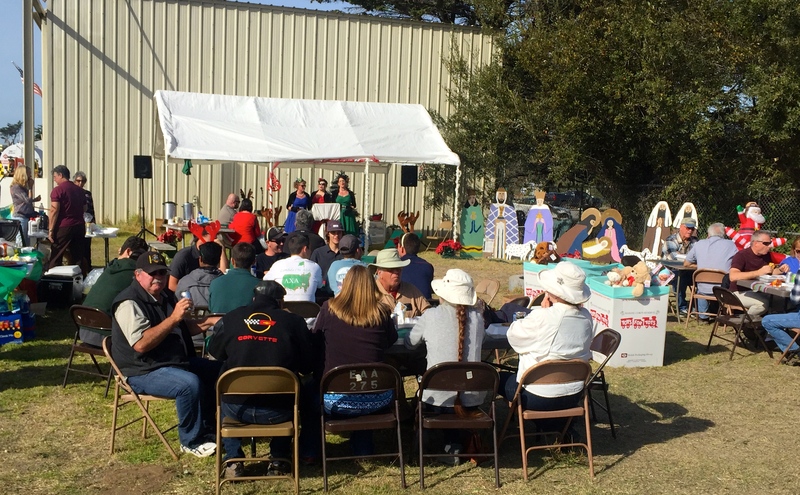 Host community events at your airport. Form a business relationship with your City or County Planners. Attend all City or County sponsored airport meetings. Look for chapters of state aviation organizations in your town/area/region. Use media to the airport’s best interest [newspaper, radio, social media, TV]. Create a good working relationship with your airport manager. 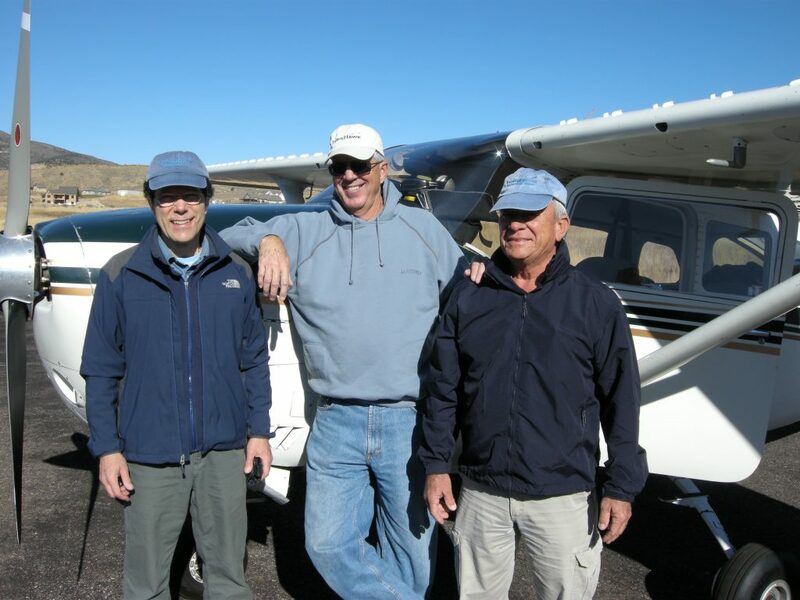 Tier 2 – Statewide Organizations: Not every state has its own general aviation organization. But a quick Google search will tell you if your state does. Statewide airport advocacy organizations are important because they maintain statewide contacts, information, and strategies. Further, our statewide groups can also advise and assist the local airport groups when issues arise. Tier 3 – National Organizations: Our national aviation organizations are a critical piece of the three-tiered airport defense strategy. Membership insures that each maintains its ability to support statewide or local airport/pilot organizations. If you do not belong to AOPA, EAA, NBAA, you should. Critical to interfacing with our congressional representatives, lobbying that national pilot organizations provide a large presence in Washington, DC. This voice serves to remind DC of the importance of general aviation to the nation’s transportation infrastructure. 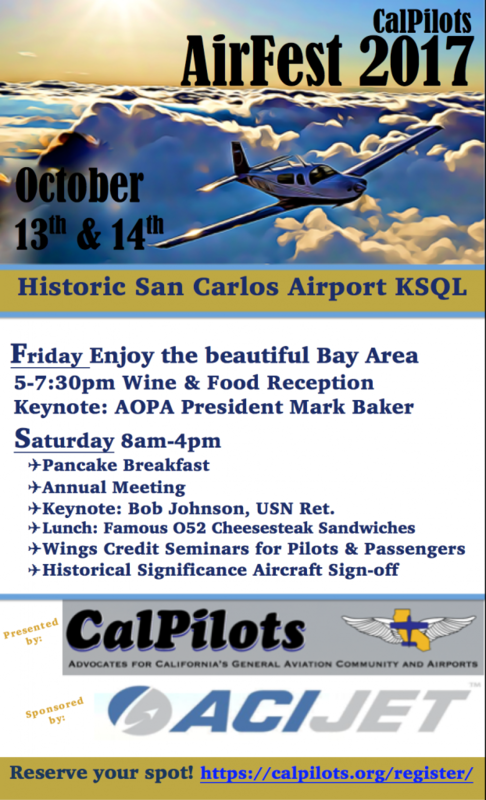 As a resident of California, I get the pleasure of seeing the three-tiered model in full effect coming up October 13th and 14th at historic San Carlos Airport [KSQL]. 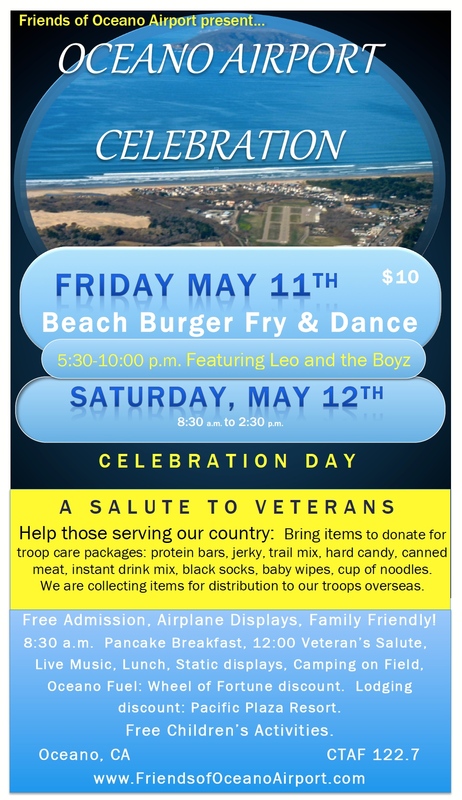 The California Pilots Association in conjunction with the San Carlos Airport Association is presenting AirFest 2017. The two-day event sponsored by ACI Jet, features a Friday night wine and food reception with AOPA President, Mark Baker. 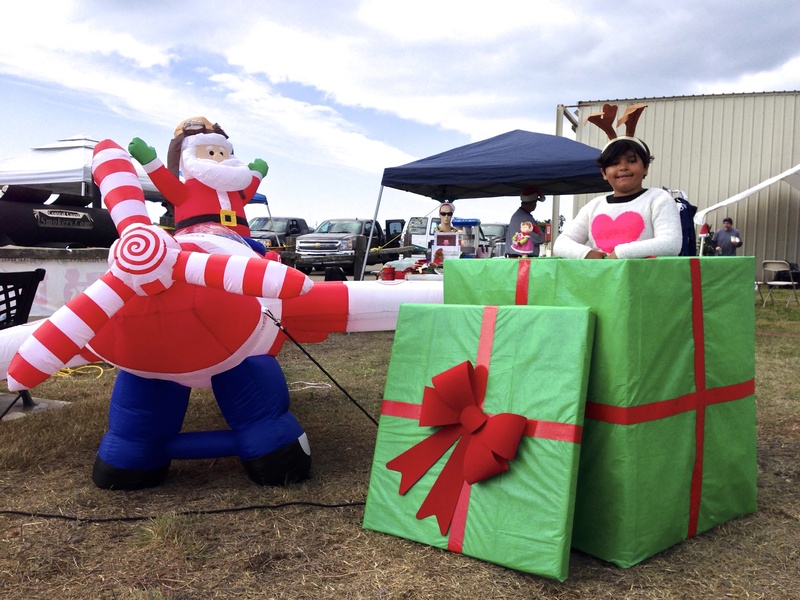 Saturday’s workshops range from safety seminars and airport advocacy to disaster preparedness. All three levels of local state and national are working together to provide educational, social and advocacy. I would encourage everyone to think like an upside down wedding cake when it comes to advocating for GA and airports. Think globally and act locally. The more we promote general aviation the more we protect our airports. 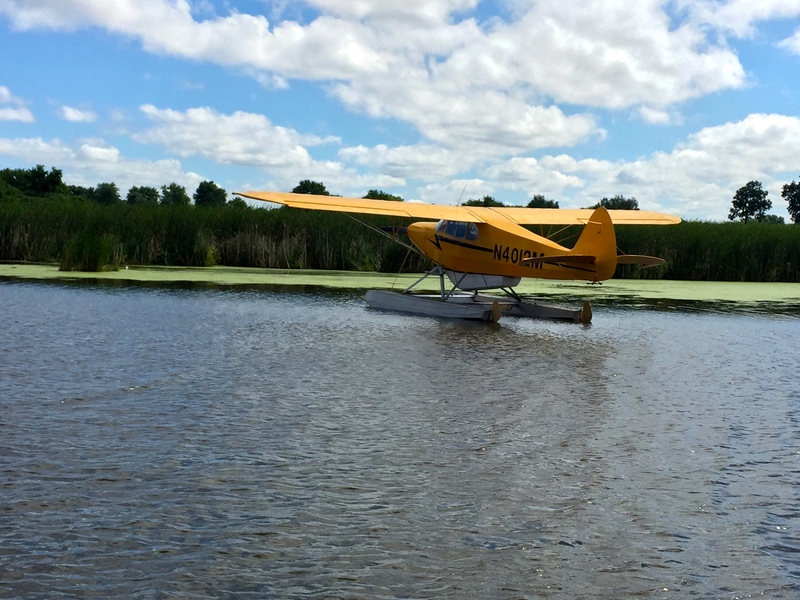 Experiencing the Seaplane Base at EAA/OSH for the first time was at once thrilling and relaxing. 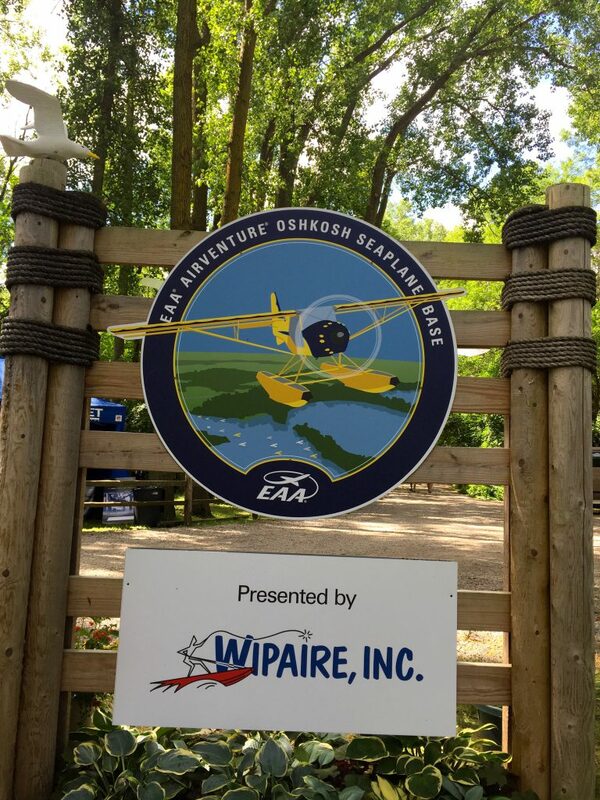 I have attended EAA AirVenture nearly every year since 2008. On Monday morning of convention, I found myself with a few “unscheduled” hours. So, I mentioned to my friend that I wanted to go to the Seaplane Base. A few minutes later we were pulling up to the parking lot having a good time teasing the gate attendants, who thought we were sisters, about whether they were brothers. After years of pulling into to various EAA parking lots, the vibe at the base was noticeably different. The area is lush and green; the trees were swaying in the breeze as we followed a bark path to the base. A few weeks before I had posted on Facebook that I was hoping to get a seaplane ride this year. I was pleased to get an offer from Don Smith to come out and get a tour and a flight in his 2015 Husky. Once arriving to the base you are met with warm smiles and a great view of airplanes bobbing up and down at their tie-downs. Nearly immediately, we were asked if we wanted a pontoon boat tour of the lagoon, which we quickly accepted. During the boat, tour the history of the seaplane base was shared as well as the details about how the base comes together once a year through the labor of a team of dedicated volunteers. 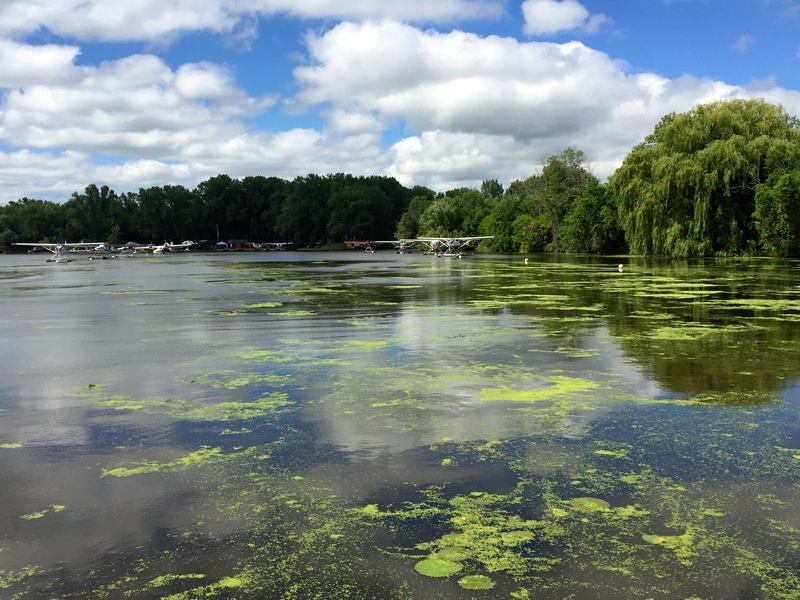 According to The Story of AirVenture Seaplane Base by Richard A. Steeves since the early 30’s the Vette family has owned over 27 acres of lakefront land along the shore of Lake Winnebago. “John Vette Jr. was one of the “Early Birdmen,” who flew and owned quite a variety of aircraft, including the amphibious Duck for the navy during W.W.II. 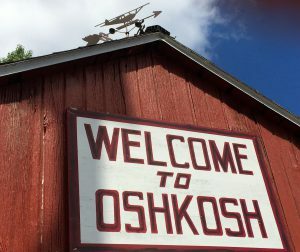 After the war, he opened a business south of Oshkosh, near the family farm. 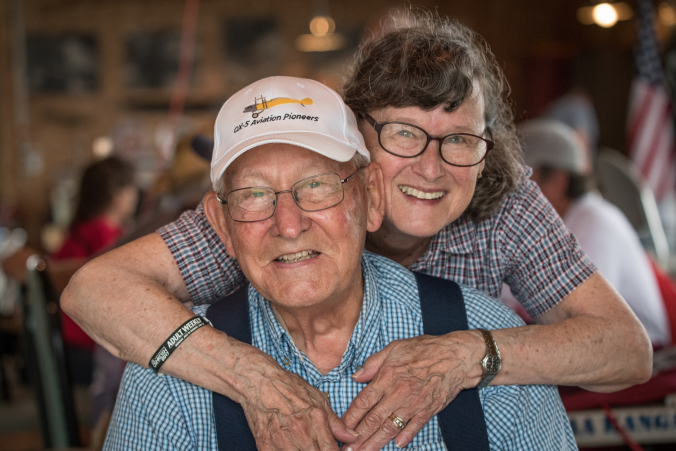 Among his employees, an engineer named Al Ziebell developed a friendship with Bill Brennand, with whom he enjoyed fishing for walleyes along the lakeshore. By 1949, they decided it would be much easier if they had a boathouse near the shoreline for storing their gear, so Bill bought 1.9 acres of Vette land around the inner harbor. 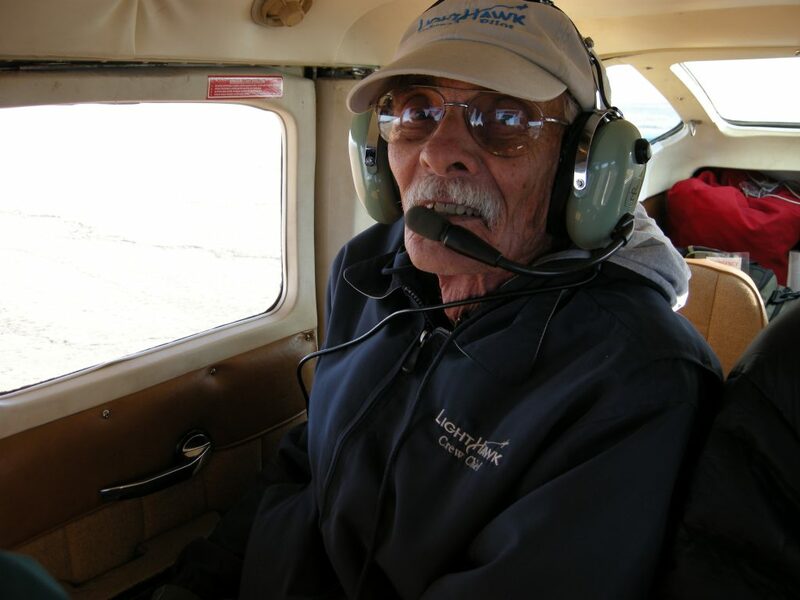 In 1957 Bill bought a Piper J3 on floats, and with help from Al and others, built some ramps for seaplane storage when they were not off on fishing trips to Canada.” In the early 70’s EAA’s Paul Poberenzy began negotiations to make the Seaplane Base a part of EAA’s annual convention. According to AirNav, the owners of 96WI continue to be the Vette family with John and his sister Burleigh. Much like Burning Man’s 88NV Blackrock City Airport, 96WI the Vette/Blust Seaplane Base is active only one week a year and is created and maintained by volunteers. The rest of the year the Seaplane Base reverts to 20 plus acres of serene lakeside woodlands. 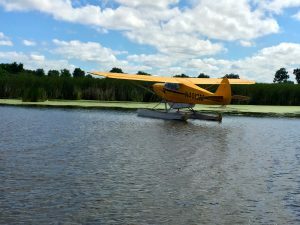 Starting with a work party on Memorial Weekend and ending shortly after convention, the Seaplane Base welcomes hundreds of airplanes and visitors. There are educational seminars daily including topics from the FAA, the Coast Guard, and the Department of Natural Resources. Women Soar You Soar also brought many aviation- minded girls out to the base for a tour and a ride. 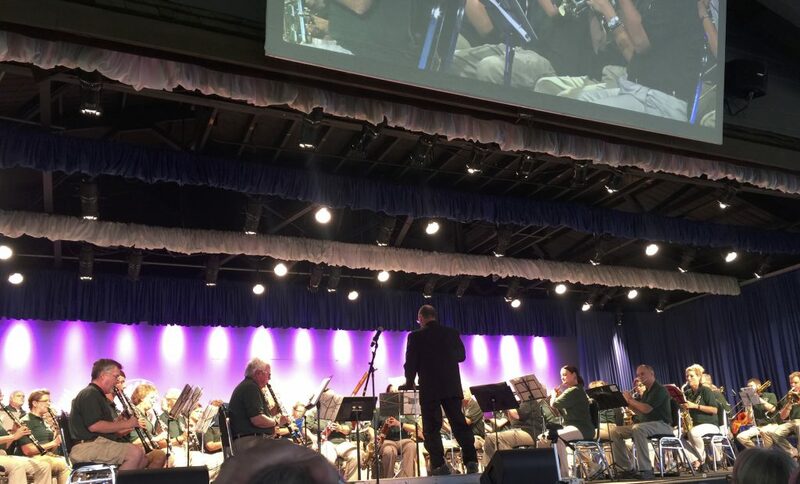 From karaoke night to the famous Watermelon Social sponsored by Wipaire, there is something going on at the base every day at AirVenture. A quick walk around the grounds led us to Don Smith, a longtime volunteer. Don has an enthusiasm for aviation and the base that is just infectious. 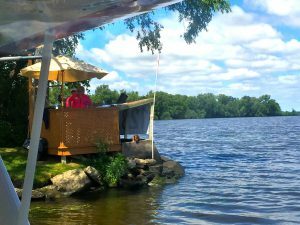 It was such a pleasure to be able to fly with someone that knew every detail about the seaplane base and Lake Winnebago. We taxied out past a controller in the OSH pink shirt. He waved as we came out of the lagoon area to the lake-proper. The lake was a bit choppy which made take off a little bumpy, but within a minute or so, we were airborne over the lush landscape. 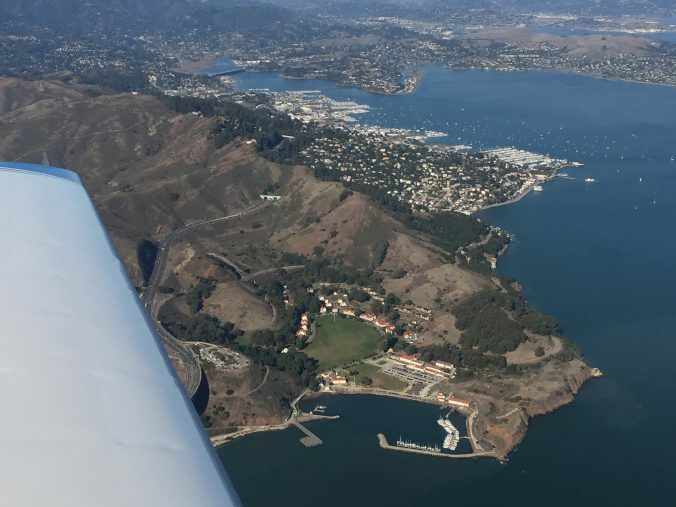 I have flown in a seaplane only once before in Northern California. Don was quick to point out methods for determining wind direction and speed. Although he offered to let me fly, I chose just to be a passenger to soak up the sights and sounds. Flying over the water and the farmlands took me back so a simpler time. I could easily imagine what it would have been like to fly in the 40’s and early 50’s. On short approach to final, I could see folks sitting on the beach and under the trees enjoying the show. Don had a great landing and we taxied back to his spot buoy #1. Later in the week, I had the pleasure to attend the Watermelon Social sponsored by Wipaire. I had been at convention all day where the pace is more hurried and busy. It was so lovely to be able head to the base and just relax and renew. It is hard to describe the vibe at the lakeside, I suppose the best way to put it is everyone operates on “island time.” I can say that I never met at stranger while there, from the fellow working the first aid stand who gave me a cold bottle of water on a hot day, to the folks working in the booths that dotted the path. Rod Machado once said to me, “Airplane folks are the best folks.” I have to agree with that. The volunteers who annually build this paradise should be proud of themselves. Visitors are greeted warmly, educated, and engaged. The scenery is stunning and the warm camaraderie greatly appreciated. 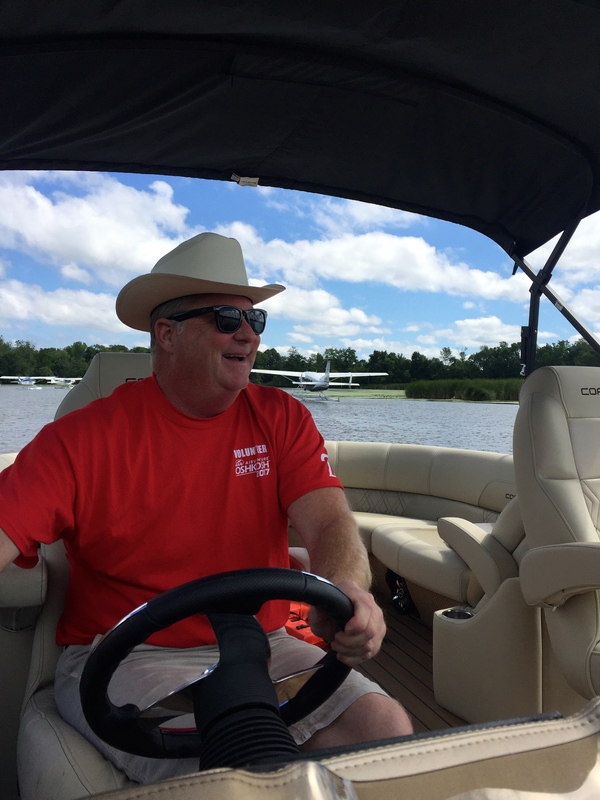 A big thank you to Don and the gang at the seaplane base. The memories will be with me always and I will be coming back next year. 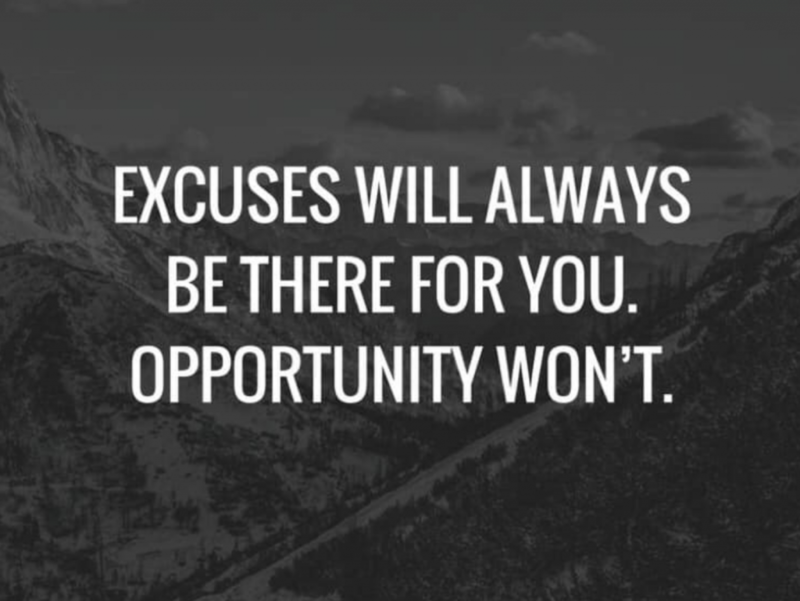 I don’t care how you get there, just get there if you can. March 7, 2017 / Jolie Lucas / Comments Off on I don’t care how you get there, just get there if you can. 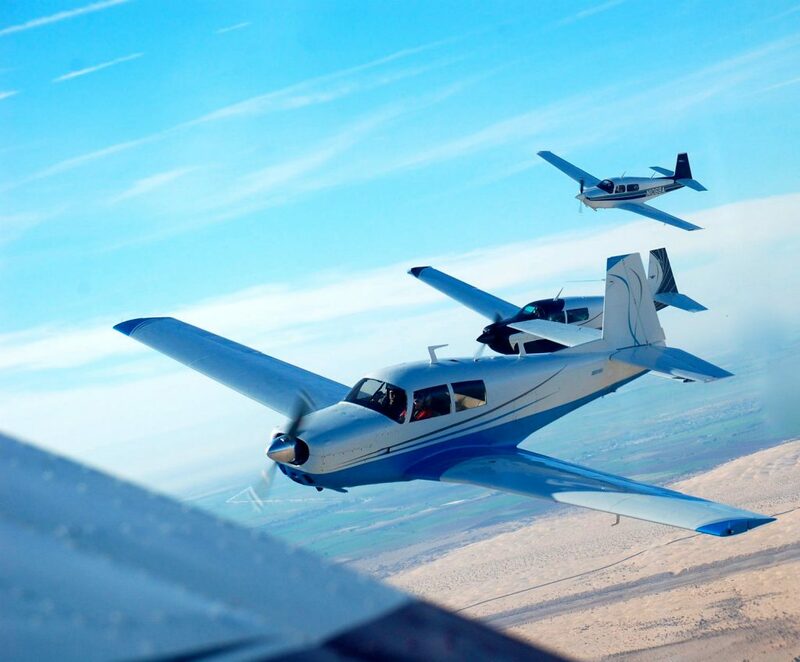 AOPA Regional Fly-Ins offer Friday intensive education series. In regard to the newly announced two-day AOPA Regional fly-ins I am going to paraphrase Oleta Adams song Get Here, I don’t care how you get there, just get there if you can. 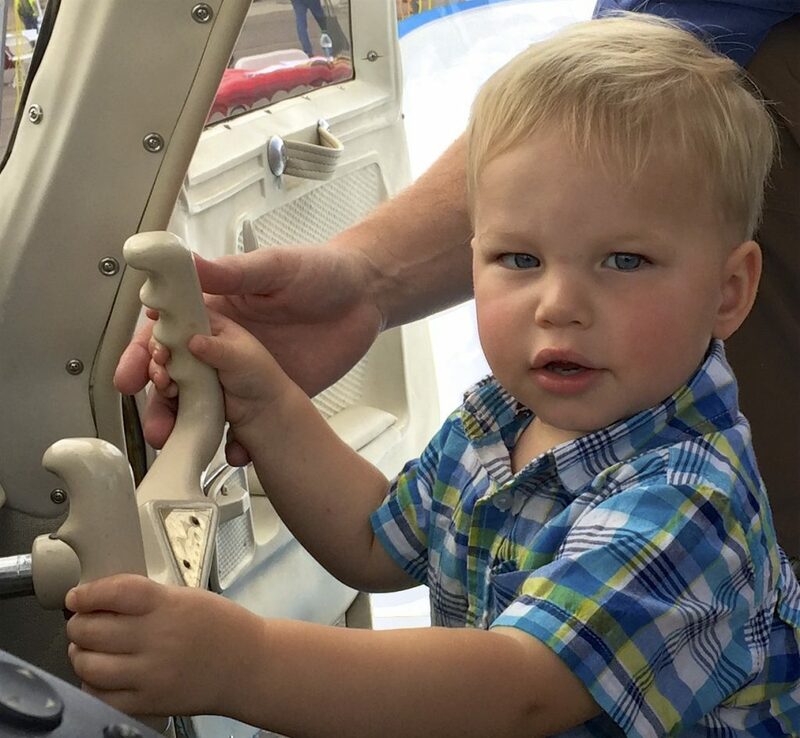 Ongoing education is vital to the pilot population. Statistics are clear that when we attend continuing education our ability to safely operate airplanes increases. According to national safety seminar presenter Mark Grady, “Several years back it was determined that pilots who participated in the FAA’s Wings Program regularly did not have as many accidents, incidents and even violations as other GA pilots. It simply makes common sense that pilots who take time to do more than the minimum of a flight review are going to be safer. 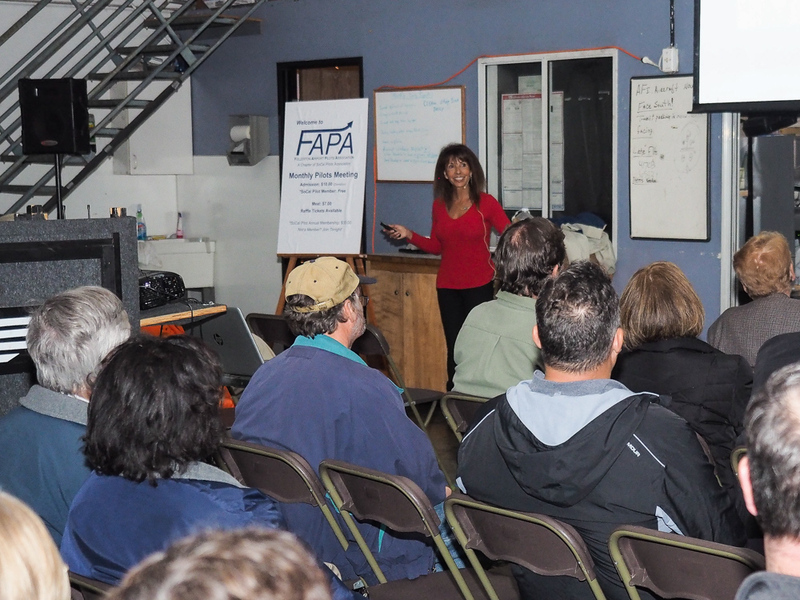 After all, we react the way we are trained in an emergency, so the more up-to-date training we have, the better we handle things that may go wrong.” When AOPA adopted a regional fly-in format versus a multiple day format, I missed the comprehensive educational seminars offered. And though the regional fly-in format is wildly successful, the opportunity for intensive classes was not available. 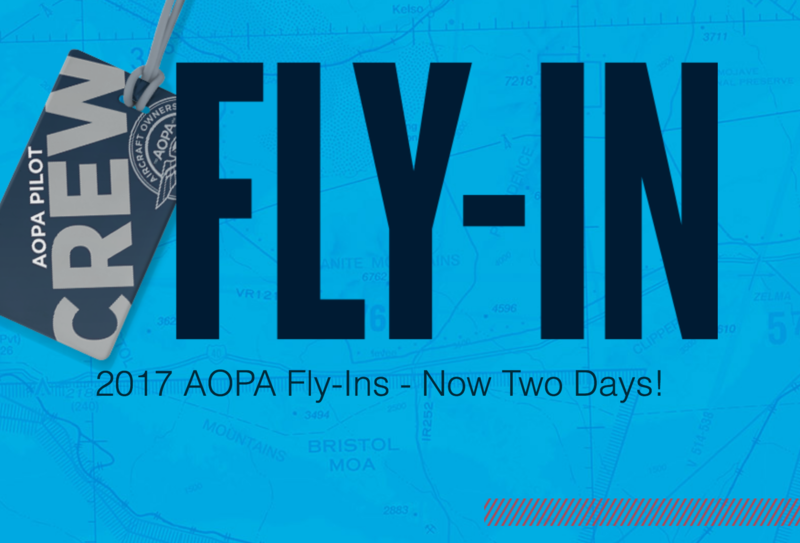 Well, all that changes with the new Friday, hands-on workshops being offered at all four AOPA regional fly-ins across the country. Interested in taking on a larger role in the maintenance of your aircraft? Join aviation adventurer, JetBlue pilot, and around-the-world adventurer, Adrian Eichhorn and A&P/IAs Mike Busch and Paul New help you determine what you, as the aircraft owner, can do to keep your plane in top condition. 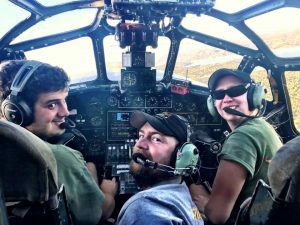 Get hands-on with changing the oil in an actual aircraft engine, cleaning and gapping spark plugs, and examining the insides of an aircraft engine to determine its health with the help of these three FAA Aviation Technicians of the Year. 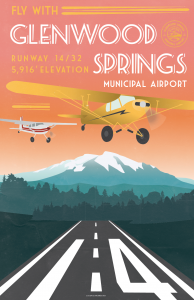 Hear from Jim Simon, chief flight instructor and director of Rainier Flight Service. 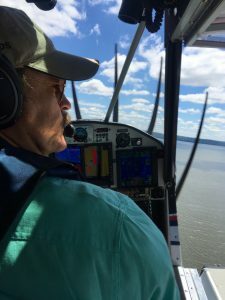 Simon’s motto is “Safety first,” and he’ll be putting his more than 5,000 hours of flight instructing experience to work so you can get back into the cockpit as pilot in command under instrument flight rules. Join renowned mountain flying specialist Lori MacNichol and AOPA Pilot magazine editor-at-large Thomas A. Horne to learn the skills necessary to fly safely in mountainous terrain, or over water, and learn what items these experts suggest you should have on-hand to survive after a forced landing in mountainous terrain, or after a ditching at sea. 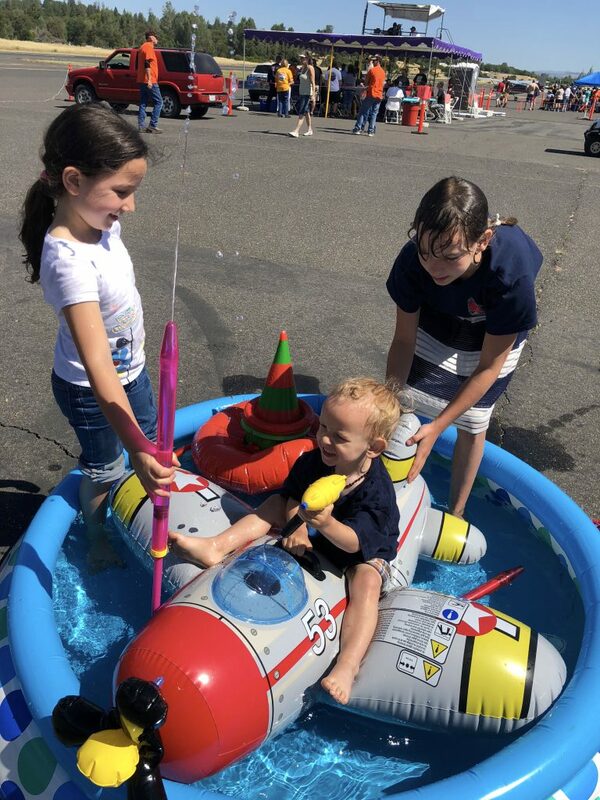 You’ll gather around a general aviation airplane, pull a life raft out of storage, deploy it, inflate it, and don your personal flotation device in a real time run-through of a ditching emergency. For September 8th-9th Norman, OK you will have a unique chance to tour the National Weather Center for a seminar called Understanding Aviation Weather. Pilot Plus One is a comprehensive daylong educational seminar designed to educate, inspire, and encourage adventure pilots and non-pilot companions. 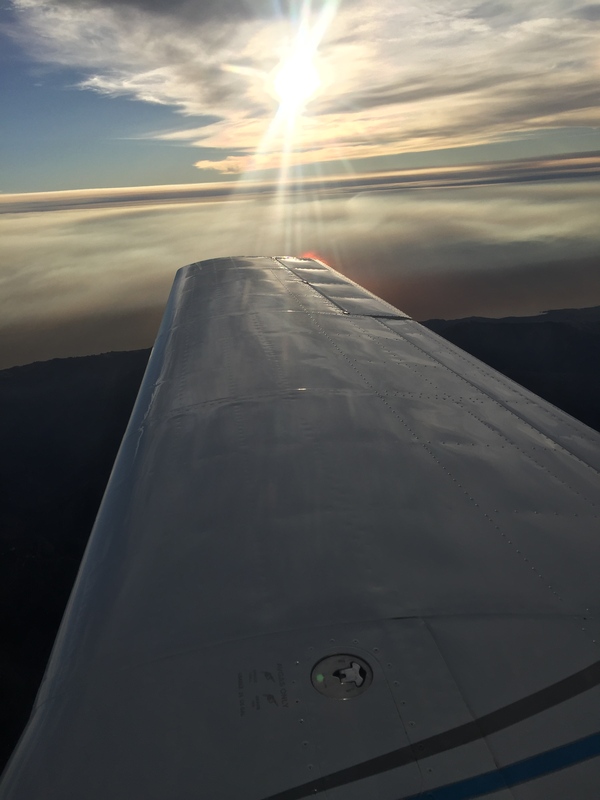 The idea is simple, when we recognize the unlimited possibilities for using the airplane for recreation, vacation, business and charitable flights, we will all start flying more now. Pilot Plus One is a lively seminar with ample opportunities for audience participation. At the close of the day, we will have fabulous door prizes from Lightspeed Aviation and Flying Eyes Optics. Our schedule includes leading experts in the aviation. More Than Just the $100 Hamburger: Fun destinations to Fly by George Kounis, Publisher/Editor in Chief, Pilot Getaways Magazine. Right Seat Ready! 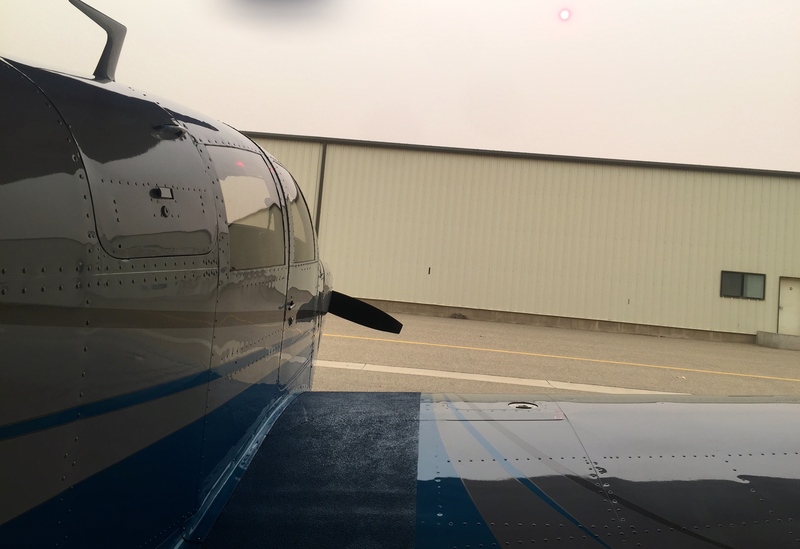 This companion safety seminar by Jolie Lucas and Jan Maxwell provides familiarization for non-pilots including airframe, instruments, radios and avionics, aircraft control, emergency communications, navigation, heads-up flight display, and landings. It is a fun, fast-paced, hands on class sure to inspire confidence to be ready on the right.